fi360's Prudent Practices comprise a step-by-step investment process that ensures an investment strategy is developed, implemented and monitored according to both legal and ethical obligations. 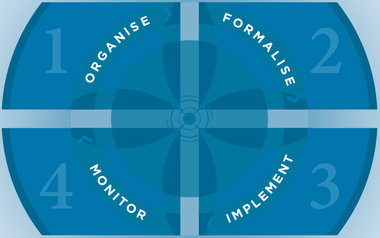 The Practices are at the heart of fi360 Pacific's training and assessment activities. ​Adopting the Practices into your investment processes can help improve investment outcomes, reduce reputation, compliance and other risks, and demonstrate a commitment to investment governance excellence. Each Practice has a set of Criteria that represent a distinct obligation in the fiduciary standard of care as defined in applicable laws, regulations, case law precedent and/or best practices. fi360 has developed a set of Practices specific to each type of investment fiduciary and the distinct roles they play in the investment process. You can download a summary of the Practices for Stewards, Advisors and Managers.